Melissa DeValles has resigned from the Board Of Directors of SEMA and has been sworn in as a member of the Schooner Ernestina Commission. 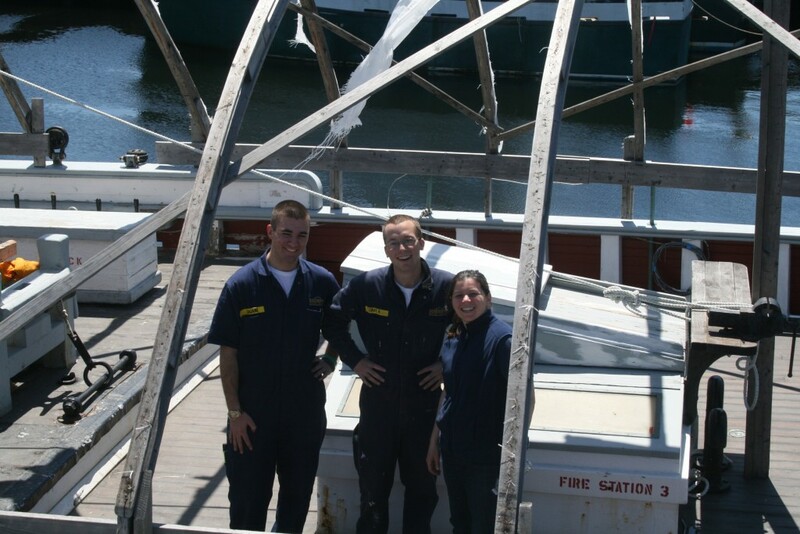 Melissa on right, with two MMA cadets at a Ernestina Work Day in the spring of 2012. Melissa brings great experience to the Commission. In addition to her time on the SEMA board, she has served as deckhand and engineer on Ernestina and is a Massachusetts Maritime Academy (MMA) grad. She is well prepared to help as Ernestina-Morrissey transitions to her exciting future. This entry was posted in Commission, News. Bookmark the permalink.